I visited the North of New Mexico briefly in 1979, landing in Albuquerque and driving to Los Alamos, Santa Fe, Bandelier National Monument, Chaco Canyon, and Taos, before continuing to Arizona and the Grand Canyon. What struck me at the time was how forested the state was and how high in elevation. I vowed to come back and it took some years... 38 years to be precise. Several members of the Society had told me about the memorable trip Michael Meléndrez led through New Mexico (and a bit of Texas) in 2001. Several oaks of the Southwest were introduced in Europe following that trip. It is only in 2016 that Michael organized another tour in his beloved state. Ryan Russell wrote accounts of this trip on this website and in our different publications. I was not able to join the tour then, but Michael gave us another chance in 2017. And I did not miss it this time. New Mexico has a surface area of 314,460 km2 . In comparison, Belgium covers 30,528 km² (just a bit smaller than Maryland). New Mexico has about 2 million inhabitants while Belgium has 11 million. In other words, New Mexico is big, the fourth largest state in the US and not many people live there. What struck me is that the southern section of the state is also forested and mountainous. Even the Chihuahuan desert grasslands occur at relatively high elevations. In any case, we were just three of us to meet with Michael and Kari Meléndrez in Los Lunas on Saturday, August 19: Rebecca Dellinger from North Carolina, Ryan Russell (again; he must like the place) from Missouri, and myself. We were not to leave for Southern New Mexico till Monday morning. Michael had indeed planned a day trip for Sunday with another IOS member who lives in Santa Fe, Anna Forester, in the Jemez Mountains to the north of Albuquerque and near Los Alamos. The highlight of the day was the Valles Caldera, a spectacular volcanic crater over 20 km wide, now a national preserve managed by the National Park Service since 2015. See here a panoramic view of the caldera. It is also here that the TV Series Longmire is shot and one of the cabins on the estate is now named Sheriff Longmire's Cabin. We parted with Anna in a restaurant in Bernalillo and drove 200 miles to the south, to Socorro, close to the north-eastern corner of the Gila National Forest. The Gila National Forest (pronounced Heela National Forest) covers 1.37 million hectares (3.39 million acres) in New Mexico (this includes the NM portion of the Apache National Forest, the Gila NF sensu stricto being 1.1 million hectares in size) . The Gila National Forest is located primarily in Catron and Grant Counties with disjunct portions in adjacent counties. To the west, it is adjacent to the Apache-Sitgreaves National Forest in Arizona. In other words, it is a vast plot of land (nearly 14,000 square kilometers). This information is quoted from an article authored by Richard Felger and Kelly Kindscher, Trees of the Gila Forest Region, available on the Internet, that provides an excellent overview of the trees of the area. This paper is extracted from the Proceedings of the Second Natural History of the Gila Symposium. The Gila National Forest was established in 1905. A subset of the national forest was designated as a wilderness in 1924, the first such designation in the country. On the morning of August 21, we woke up in Socorro on the northeastern side of the forest. The sun was shining and the skies were blue. We drove west on Highway 60. This first day in the Gila was Gambel oak day mostly. Michael took us first to private land to the north of the highway, along Horse Springs Road, a dirt road that leads to big Gambel oaks at the bottom of Mangas Mountain. Mangas Mountains owe their name to Mangas Coloradas, chief of the Mimbreños Apaches in the mid-19th century and known to every man of my generation who as kids played cowboys and indians. Mangas Coloradas was one of the most famous leaders of the Apaches, with Cochise (his son-in-law and chief of the Chiricahuas), Victorio, and Geronimo, whose youngest sister La La, Michael told us, was his great-grandmother. We eventually found Quercus gambelii but had to stay on the dirt road since the land on both sides was private and there were signs everywhere warning us not to trespass. We could not have pretended that we did not know. The road climbed slowly and gradually, and we found the Gambel oaks at an elevation of about 2,300 m (7,600 ft). We turned around, drove back to Highway 60 and went south into more mountainous areas to find what Michael said the USDA Forest Service claims to be the largest Gambel oak in the United States. On the way up, we crossed a kind of oak savanna where Quercus grisea is the common oak, with young pines here and there. The elevation here was already over 2,000 m. Higher up, around 2,300 m, we came across Cupressus arizonica, which Michael claims is indigenous here. However Felger and Kindscher say that it is not. C. arizonica, they write, is native of the nearby Cookes Range "where there is a substantial population." They also write that it has been planted in the Gila but that it does not reproduce here. (The only place in the Gila where it reproduces freely is Fort Bayard, which we visited later). The two trees we found did not look like they had been planted, though. They might be native or at least subspontaneous here after all. Pinus ponderosa, mostly young specimens, and Q. gambelii grow here too. We found one dead Gambel oak surrounded by dozens of suckers. Just a bit further on, we entered a ponderosa pine woodland with much bigger beautiful trees and in the middle of those pines, our champion tree, an old Q. gambelii. Ryan measured the tree: 221 in. in circumference × 75 ft tall and 54 ft wide. Ht + Circ. + (1/4 * Spread) = Total Score. In this case, total score is 309.5. As far as we know, this seems indeed to be a national champion. From there, we drove on along the NM-159 on the north slope of Elk Mountain. We could have followed that forest road all the way to Alma through the Mogollon Mountains, but Michael decided to drive down to Reserve instead. We saw more Q. gambelii along the way and populations of Q. grisea in a woodland of Juniperus deppeana and Pinus ponderosa (elevation 2,500 m). On the way down (along NM-141), we saw Picea engelmannii, Pseudotsuga menziesii and more Pinus ponderosa. We saw also many deer and a cow elk. The next day, we started from Glenwood where we were staying for 2 nights. On the first morning, Michael took the NM-159 by the other end, up the Mogollon Mountains. Along the road, at an elevation of 6,283 feet, we found shrubby oaks that Michael said might be hybrid Q. turbinella. There is no Q. turbinella around, though, while there is a Q. grisea just above these odd-looking shrubs. The explanation came later from Dr. Felger who prepares a new version of his above-mentioned paper. About Q. turbinella, Dr. Felger wrote in an email: "This oak can be confused with drought-stressed shrubby Q. grisea; they are, however, distinct species. We do not know of the species occurring in the Gila Forest region. Some stunted or drought-stressed Q. grisea shrubs in the Gila Forest Region have sometimes erroneously been called Q. turbinella...Oak species in the Gila Region, however, are distinct without indication of intermediates or hybrids, except with a few indications of Quercus grisea × Q. rugosa in Blacksmith Canyon (Kevin Keith, personal communication) and in Sycamore Canyon Creek near Cliff (13 Aug 1902, Wooton s.n., UNM)." A bit higher up, we came across a Q. rugosa with Q. toumeyi not far away; this Q. rugosa looked like it is a hybrid; only those shrubby Q. grisea and Q. hypoleucoides (Sect. Lobatae like Q. emoryi) grow in the vicinity. Then comes Q. gambelii, shrubby ones mostly. The dominant trees here are Pinus edulis and Juniperus deppeana. We then drove back to Glenwood and stopped by Glenwood Park, where a large Emory oak had dropped loads of acorns. Temperature at that elevation was 90°F. From there we went to Whitewater Canyon to hike up the canyon, along the catwalk trail first and in the whitewater river further up. There were a few specimens of Q. rugosa in the canyon and many Alnus oblongifolia and Platanus wrightii, a superb tree. On the morning of the 23rd, we stopped at the Ranger's station in Glenwood to inquire about several places we would have liked to visit (Apache Box, for one, as this is supposedly the only place in New Mexico where one can find Q. chrysolepis). The ranger told us that Apache Box was not accessible. Same went for Turkey Creek Canyon where the road had been washed out by a flood. Michael then picked an alternate destination. We left Glenwood for Arizona via Mule Creek along State Route AZ-78. We stopped just over the border in a pine forest where the most common pine species was Pinus leiophylla var. chihuahuana, with a few P. ponderosa along the road. Under the pines one finds two Red Oaks, Quercus emoryi and Q. hypoleucoides and a White Oak, Q. grisea. Just on the edge of the forest, along the road, grows a fine specimen of the latter. Further along the road, we took a forest road into the mountains, the Martinez Ranch Road, to see a Q. grisea with signs of hybridization. Back down to the AZ-78, we drove to a campground, the Blackjack Campground where we left the car to hike the hill above the campground for the rest of the morning. The top of the hill is dominated by Pinus ponderosa, which is also present on the campground. The lower part of the slope is oak woodland with Q. emoryi, Q. hypoleucoides, Q. grisea, Q. rugosa, and Q. ×undulata hybrids with here and there a Juniperus deppeana. We had a late lunch at the campground and drove back into New Mexico, to SIlver City and Fort Bayard. In SIlver City, we stopped briefly to book a motel and to see a few nice Calocedrus decurrens planted in 1929 around the Courthouse. Cupressus arizonica, C. glabra, and Thuja orteintalis are also found here. We then headed for Fort Bayard to see other non-native trees such as Pinus sabiniana, a magnificent specimen of ghost pine, aka gray pine, digger pine or California foothill pine, locally naturalized: several younger trees can indeed been seen in the vicinity. We left the car there to go for a walk along the Big Tree Trail in Fort Bayard pasture and see a huge Juniperus deppeana. Along the way, we found Q. grisea and Q. gambelii, but no hybrid between the two. It was raining on the way back and there were tracks of a black bear in the footsteps we left coming from Fort Bayard. As the rain got heavier, we visited the Fort Bayard National Cemetery where Sam Meléndrez, Michael's father and a veteran of WWII and the Korean War, is buried. After the first of two nights in Silver City and a copious full American breakfast, we headed for the Gila Cliff Dwellings. But, as usual, it took some time to get there because there were numerous side forest roads and oaks on the way. Along the Pinos Altos Road (NM-15), we found several fine specimens of Q. hypoleucoides, as well as Q. grisea and Q. gambelii (and among a group of Gambel oaks, a specimen that really showed signs of hybridization). We also drove up a forest road up to Signal Peak with magnificent views of the National Forest. Along the road up to the Signal Peak Lookout, we saw Robinia neomexicana and Acer glabrum. We eventually drove to the Gila Cliff Dwellings National Monument and then walked the trail to the cliff dwellings. Along the trail, we saw Gambel oaks and gray oaks. But there are many more plants than those that single-minded oak people look for. The NPS published a list of the flora of the dwellings (unfortunately sorted by common name and not by scientific name). The trail goes up a canyon to the caves. In the 13th century, Mogollon people built dwellings in the five natural caves. They lived here approximately 20-25 years and then deserted the premises. From the National Monument, we drove back to Silver City through a different road, the NM-35, where we saw several nice specimens of Q. grisea. On the morning of the 25th, we left Silver City bound for the Bootheel of NM and Portal, Arizona. Our intention was to visit the Madrean Sky Islands. After a stop in Lordsburg, we drove further south to the Peloncillo Mountains and followed the Geronimo Trail all the way to Arizona. From the trail, a forest road suitable for vehicles, we could see the different mountain ranges, the Sierra San Luis, the Peloncillo Mountains, and the Chiricahua Mountains. The Peloncillo Mountains extend into Mexico (and Arizona) and are linked to mountain ranges further south. That is why jaguars, rarely seen north of the Mexican border, have been observed here. One of our stops was to be for a champion gray oak, Quercus grisea, off the dirt road. We followed a dry riverbed for a while. Emory oak was also common along the river. Eventually, Michael found the champion gray oak or what was left of it. Back on the Geronimo Trail, we found a group of big gray oaks, potential candidates to replace the dead tree we had just seen. Ryan cautiously walked through the high grasses, ready to confront rattlesnakes, to go and measure the trees. The largest was 203 in. in circumference, 60 ft tall and 72 ft wide, which gives a score of 281. A new champion Q. grisea? Several species of oaks were encountered along the road that took us to Arizona: many more Q. grisea, very common on these slopes, Q. hypoleucoides, Q. arizonica, Q. toumeyi and Q. oblongifolia. We saw several specimens of the latter. One, a young tree, in a riverbed, was particularly beautiful. See here a few pictures posted in the International Oaks Group on Facebook. (You must have a Facebook account and be logged in to view these pictures). Once in Arizona, we drove to Douglas where we had an early dinner and then to Portal where we spent the night. Early the next morning, Arizona time (in summer, Arizona is an hour behind its neighbors because it does not switch to Daylight Saving Time), we drove to Cave Creek Canyon, just outside Portal. We saw there some spectacular trees, notably a huge Cupressus arizonica, but also Pinus engelmannii, Platanus wrightii, Juniperus deppeana. Oaks too were present in the canyon: Q. arizonica, Q. emoryi, Q. hypoleucoides, and Q. rugosa. Later, we would drive along a forest road up the mountain and we would see many specimens of Q. rugosa. We also saw a magnificent Q. hypoleucoides. Our excursion to the Chiricahua Mountains, a rich and large mountain range, was a bit short. An interesting website, the Madrean Archipelago Biodiversity Assessment (MABA) website, contains a lot of information on the flora (and the fauna) of these sky island mountains, including Flora checklists for each mountain range. The Chiricahua Mountains are included in the Dos Cabezas-Chiricahua Range. We drove down to the "desert" in the afternoon to visit to a former IOS member, Greg Freeman. Greg grows oaks and other trees in the desert. He has built several wells and he waters his trees all year long. After the visit, we drove back to New Mexico through the Chihuahuan Desert, to Deming precisely, where we arrived quite late. Deming is where Michael's mother lives. Before hitting the road, we dropped by to meet her. She told us jokingly that we had missed The Great American Duck Race, a duck race held yearly in Deming. Oh well, we'll go and see some oaks instead and headed for Las Cruces and the Organ Mountains. "The Organ Mountains are the tail end of the Rockies," said Michael. The sites we visited that day were also part of the 2016 trip. For Ryan, it was a repeat. We went to the Dripping Springs Natural Area first, on the west side of the Organ Mountains. There are ruined constructions scattered along the Dripping Springs trail. Initially, a resort was built here by Colonel Eugene Van Patten in the 1870s. It was later converted into a sanatorium and after the sanatorium was closed it was bought in the 1950s by the Cox family, who also bought a ranch adjacent to the resort. The whole estate was later acquired by the Bureau of Land Management. The BLM maintains several trails in this area close to Las Cruces. So the place was pretty crowded on a sunny Sunday afternoon. We were not here to visit the ruins or to picnic. We were here to see the Organ white oak, Q. ×organensis, a hybrid between Q. arizonica and Q. grisea. Most oaks we saw though really looked like Q. arizonica; some do show intermediate characters. We saw no Q. grisea on the trail and in the canyon, but it is supposed to be present as well as Q. gambelii. Michael said Q. grisea is very common in a neighboring canyon. We saw other interesting trees along the trail and in the canyon: Pinus edulis, Juniperus deppeana, Fraxinus velutina, Fouquieria splendens, Ungnadia speciosa, Dasylirion wheeleri, Opuntia phaeacantha (Ryan has a different name for that Opuntia; I got it from the list of plants of Dripping Springs provided by the Visitor Center). After Dripping Springs, we drove to the other side of the Organ Mountains through the San Augustin Pass and on to the Aguirre Spring Campground. On the east side of the pass, there is a pure stand of Q. turbinella. We drove a few miles north to the Aguirre Spring Campground. In the campground, we found a very fine specimen of Q. arizonica. From here, we also had a beautiful view of the desert and the White Sands Missile Range. That evening, we stayed in Las Cruces and had dinner in Mesilla at La Poste de Mesilla. Mesilla and Las Cruces used to be on different sides of the border between Mexico and the USA. Las Cruces was founded in 1849 just after the Mexican-American War of 1846-48, in which the USA conquered most of the NM Territory and California. These territories had been Mexican since 1821 and Spanish before that. Some people in Las Cruces did not want to live under American rule and they crossed the river (and the border) to found Mesilla. Bad luck: in 1853, the US purchased an additional piece of land from Mexico and Mesilla became part of the US. This was known as the Gadsden Purchase, also known as la Venta de La Mesilla. After our visit to the Mimbres Hot Springs Ranch, we hit the road again the road and drove through Emory Pass down to Ruidoso. Along US-380 to Carrizozo, we stopped for a short visit of a spectacular site, a lava field named Carrizozo Malpais (bad land). This tract of land forms the Valley of Fires State Park. Mosquitos were somewhat aggressive that afternoon and the temperature is higher than in the mountains despite an elevation of 1,600 m. The black lava flow is easily visible on Google Earth (33°29'56.91" N 105°57'07.38" W). Check out this picture on Wikipedia. We continued our journey to Ruidoso along US-380. 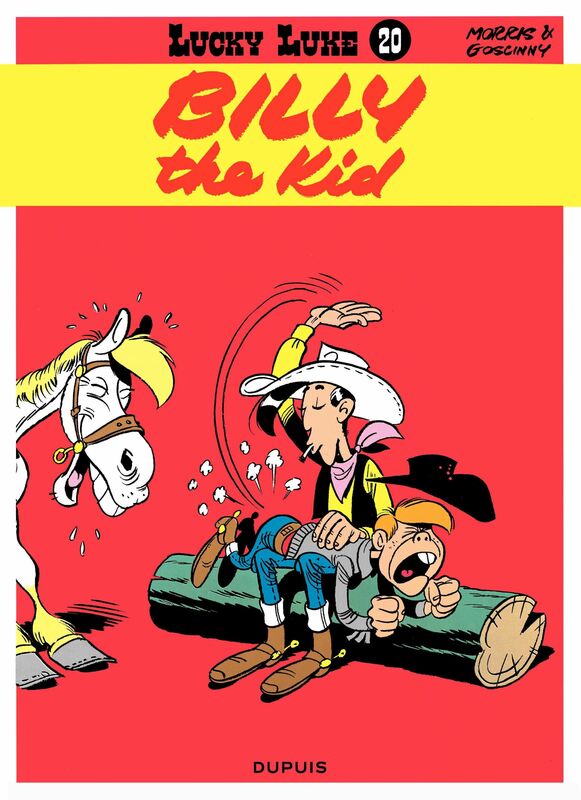 After Carrizozo, US-380 is named the Billy the Kid Trail (see here a popular representation of Billy the Kid in a cult Belgian comic book). We made three stops after the town of Lincoln, for a tarantula that was trying to cross the road (we helped it make it safely to the other side of the road), for a first Q. ×undulata and a second very interesting Q ×undulata. The trees here are sizable trees with large, thick leaves. I learned that other IOS members have been here before with Michael and that this clone had been given a cultivar name by Allan Taylor. "Turn around and look across the road," said Michael. I saw a gate and a sign that says "Spring Ranch" (see IOS Journal International Oaks 24, p.168). We arrived after dark in Ruidoso where we spent the night. Michael told us that all or most seed of Pseudotsuga menziesii and Pinus ponderosa used by foresters in the United States are produced here, even by the Pacific Northwest forest growers. The next day, August 29, we drove to the northeast of Ruidoso to explore the eastern slope of the Capitan Mountains along Arabela Road. The oaks of the day are Q. ×undulata, Q. oblongifolia, and Q. muehlenbergii. Along County Road 368, we stopped for several Q. ×undulata and Q. oblongifolia. One of the blue oaks was particularly big. Ryan measured it: Q. oblongifolia - Arabela, NM, 161 in circ. × 48 ft tall and 54 ft wide, score 222. We drove around the Capitan Mountains on a road named US Highway Fs 5657 to find Q. muehlenbergii. A lot of land was private there and gates bore inviting signs that we did not dare to pass. On the way back to Los Lunas, we stopped near Lincoln on US-380 to see a group of trees on the property of rancher James Sanchez. These trees, quite big, are known as the Fendler Oaks, Q. ×fendleri being considered a synonym of Q. ×undulata (see International Oaks 28, p.195). But these trees did not look like the type specimen Fendler-805. Q. ×fendleri was also illustrated in Greene, E.L., Illustrations of West American oaks, t. 31 (1889-1890). We also visited the cemetery adjacent to the Sanchez Ranch, where Michael's grandparents are buried, Emilio Miranda and his wife. We then visited Lincoln (see International Oaks 28, p.195) and drove back to Los Lunas. Rebecca had a very early flight to North Carolina the next morning.